With the tennis season in full swing you know the Summer has arrived...we think that is something to celebrate. For those less sporty types who still want to enjoy Wimbledon 2012. 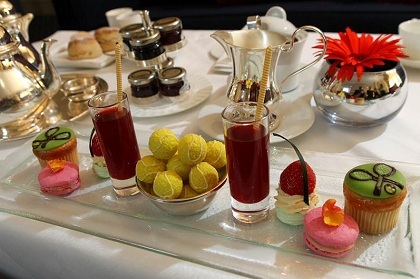 The Royal Horseguards has introduced a quintessentially English Afternoon Tea with a tennis twist - all ‘served' with homemade tennis ball truffles. 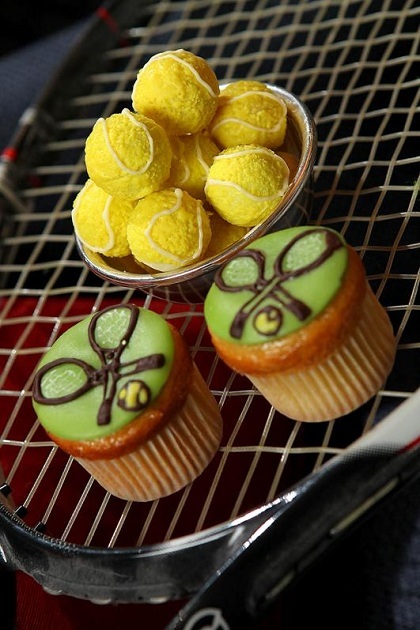 Conceived by the hotels pastry chef Joanne Todd, and her dedicated team, guests can treat themselves to The Royal Horseguards selection of life-like filled tennis ball truffles and Wimbledon logo cupcakes! Whilst enjoying this WImbledon, inspired tea, re-hydrate with a beautifully refreshing strawberry and Pimms consommé, created by carefully simmering fresh strawberries for over four hours, finished with a dash of Pimms.